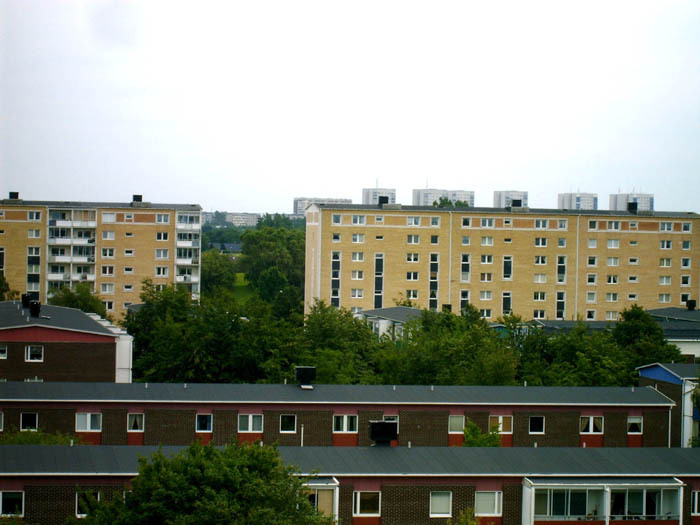 Rosengård is one of Sweden´s most famous commie block districts. It has about as many inhabitants as a small Swedish town(about 23 000). 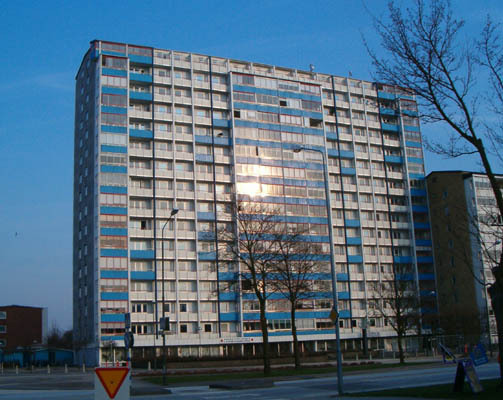 It is famous for being a symbol of the segregated Malmö were only a few of the inhabitants are native Swedes. Rosengård is situated in the east part of Malmö, within the inner intercity highway. During the latest years, Rosengård has been home to Sweden´s largest supermarket, City Gross, that is situated right next to Rosengårds Centrum. This photo is taken from the same traffic circle at Rosengård. Note that Turning Torso is visible in the middle, as a symbol for the class differences! The 17-story Motetten in Lindängen and the 8 Högaholm/Almvik highrises (also 17 stories). I took this picture on the train to Copenhagen. Lorensborg is a district in west part of Malmö, not so far from the city center. There are 3 highrises (or commie blocks? ), all 16 stories high. Holma with the famous Almvik residences in the background. A colorful house in Holma! 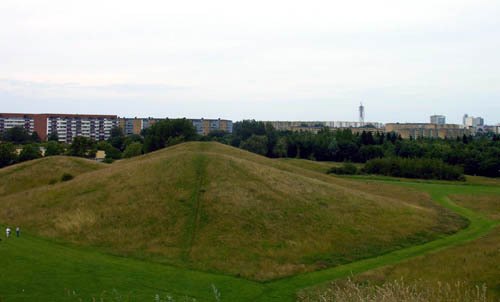 If you climb up one of these high hills between the 2 commie block districts Holma and Kroksbäck, you can see the whole Malmö. For panos from these hills, go to the skylines section. This panorama continues to the right and adds the commie block area Lindeborg and the Hyllie water tower. For the left part of the pano, go to the skylines section. 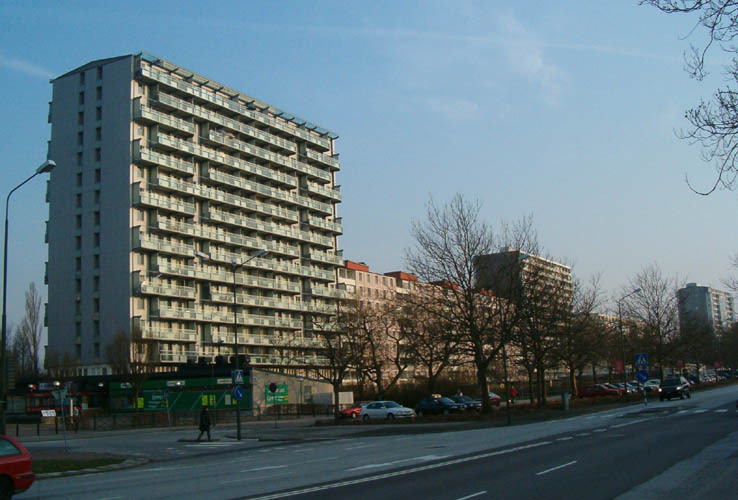 A newer highrise in Södertorp, one of the many commie block districts in the south.